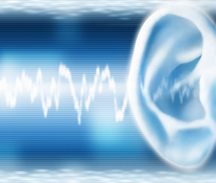 The purpose of audiological evaluation is to quantify and qualify hearing in terms of the degree and the type of hearing loss. The loss may be conductive (a temporary or permanent hearing loss typically due to abnormal conditions of the outer and/or middle ear), mixed (a combination of conductive and sensorineural components), or a central auditory processing disorder (a condition where the brain has difficulty processing auditory signals that are heard). 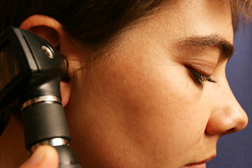 Audiological evaluation is also carried out for purposes of monitoring an already identified hearing loss. 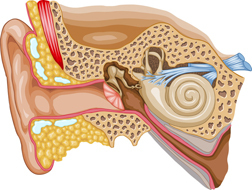 Once a particular hearing loss has been identified, a treatment and management plan is put into place. The plan may include medical or surgical intervention, prescription of personal hearing aids, prescription of assistive listening devices, skills development through audiological rehabilitation, or simply monitoring of the condition through periodic assessment. Once a treatment and management plan is in place, it is still important for an individual’s hearing loss to be checked periodically to determine its stability. Is it fluctuating? Has it improved as a result of medical intervention? Is it progressing? An audiologic evaluation is sometimes thought of as “just a hearing test,” but more than “just” the ability to hear sounds is involved. The audiologic evaluation consists of a battery of tests each providing specific standalone information. Yet, the tests complement one another. The audiologic evaluation consists of several different components. The entire test takes anywhere between 15 to 30 minutes. Vestibular or balance system assessment is indicated when a person has nystagmus (rapid involuntary eye movement), complaints of vertigo (dizziness) balance dysfunction, gait abnormalities, or when pathology/disease of the vestibular system is suspected. The test takes approximately one hour. Auditory brainstem response (ABR) is an auditory evoked potential that originates from the auditory nerve. It is often used with babies. Electrodes are placed on the head (similar to electrodes placed around the heart when an electrocardiogram is run), and brain wave activity in response to sound is recorded. The entire test takes about 30 minutes.